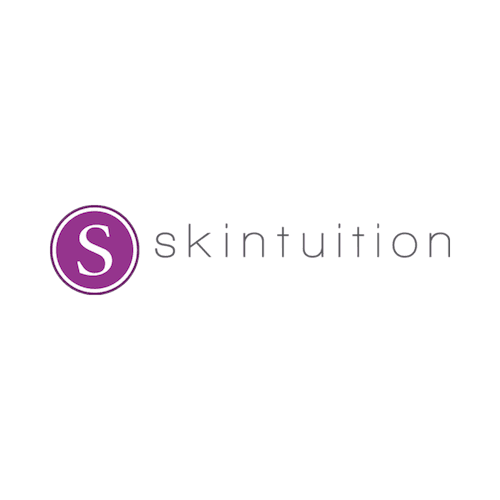 At Skintuition, our goal is to become your long-term skin care partner. We believe in developing a plan to improve the health and vitality of your skin. Healthy, beautiful skin requires knowledge, and time. Our goal is to share our expertise with our guests while helping them feel confident in their skin. We do this by developing a plan for regular professional skin care treatments combined with proper home care products. We customize every facial on our menu to suit your skin and develop individualized, progressive treatment plans for all of our guests. We would love to have the opportunity to pamper, nourish, and improve your skin. Our Essential Facials Provide A Perfect Balance Of Relaxation And Results. Our Skintuition Custom Facial was designed to be tailored specifically for your skin condition, and your skin’s needs, and is totally customizable. Our estheticians follow the important facial fundamentals—cleansing, skin analysis, exfoliation, extractions (if needed), masque, moisturizing, and face, neck, shoulder, hand & arm massage. We then customize your treatment with treatment masks, boosters, serums and moisturizers from our professional product lines that will specifically address your skin’s needs. We aim to revitalize and nourish your skin with exactly what it is missing, while providing a truly relaxing and pampering experience. Ideal for first time facials, or for those who like to leave the product choosing to the pros. An organic facial using products handcrafted in small batches with the most potent raw and organic SuperFoods available. Suitable for all skin types, especially sensitive skin. Designed to hydrate, repair and revitalize skin. This facial includes cleansing, steam, skin analysis, manual exfoliation with a polishing facial scrub, secondary exfoliation with a honey & berry enzyme, light extractions (if needed), a fresh SuperFood treatment mask selected to address your skins needs, and a relaxing cold rolling massage to minimize puffiness & encourage lymphatic drainage. Finished with a nourishing moisturizer. Relaxation + results. A truly pampering spa facial with the addition of an anti-aging peel to address common aging concerns, such as dull skin, fine lines, and pigmentation. A combination of anti-aging peptides, antioxidants, & plant derived stem cells, plus a sophisticated blend of Alpha & Beta Hydroxy Acids is used to brighten your skin, and revitalize your complexion. Includes cleansing, pro-youth peel, extractions (if needed), relaxing face, neck & shoulder massage, a firming algae hydro- jelly mask, a relaxing hand & arm massage, and finished with an application of antioxidant booster serum and moisturizer. Soothe the skin, deeply hydrate, and calm inflammation. Our Calming Facial is ideal for clients with Rosacea, sensitive skin, and dehydrated skin to give you the nourishing effects that your skin is craving. The basis for this facial is a carefully selected range of specialty products with calming nutrients, gentle skin sloughing exfoliants, soothing boosters & moisturizers, all designed to calm and heal the skin. Includes cleansing, an ultra gentle gel based exfoliant, a nourishing face, neck & shoulder massage with skin soothing grapeseed serum, a relaxing hand & arm massage, and a calming oatmeal & algae hydro-jelly mask to leave your skin feeling deeply hydrated and soothed. This illuminating treatment infuses oxygen, plant-derived stem cells, peptides and a high concentration of enzymatic botanicals into the skin leaving it luminous, refreshed and rejuvenated. It is designed to brighten your skin immediately, and is the perfect option to do directly before a big event to ensure your skin will be glowing! Includes cleansing, an invigorating facial massage with a fruit based enzyme, an effervescent mask with oxygenating bubbles, a relaxing hand & arm massage, plant stem cell treatment serum and moisturizer. One of our most popular combos. This illuminating treatment begins with full face Dermaplaning to manually exfoliate the skin and remove vellus hair. Followed up with an O2 Lift Facial to give your skin the ultimate glow. Plant derived stem cells, peptides and botanicals leave your skin luminous & rejuvenated. A facial designed for treating active acne, and preventing future breakouts. Our professional products formulated with powerful anti-acne ingredients work to deep cleanse the skin and dissolve away pore clogging sebum and oil. Included is a deep cleansing, salicylic exfoliation, extended extractions, oil absorbing clay mask, relaxing neck & shoulder massage, and a cold rolling facial massage to minimize inflammation. A facial designed for treating active acne, and preventing future breakouts. Our professional products formulated with powerful anti-acne ingredients work to deep cleanse the skin and dissolve away pore clogging sebum & oil. Included is a deep cleansing, salicylic exfoliation, extended extractions, oil absorbing clay mask, Celluma Blue LED to kill bacteria and a cold rolling facial massage to minimize inflammation. Purify and purge your skin with Ultrasonic technology. This water based exfoliation is done with 28,000 ultrasonic vibrations per second, that gently loosen up dead skin cell build up, trapped oil, makeup, & debris. Includes cleansing, steam with skin softening emulsion, ultrasonic skin scrubbing, extractions (if needed) , permeation of skin plumping Hyaluronic Acid, a detoxifying clay & algae hydro- jelly mask, a relaxing hand & arm massage, and finished with a lightweight moisturizer. A fruit based enzyme treatment effectively dissolves away the ‘glue’ that bonds your dead skin cells to your living skin cells. This gentle exfoliation leaves the surface of the skin very soft and smooth. Includes cleansing, custom selected fruit based enzyme treatment, extractions (if needed), face, neck, shoulder, hand & arm massage, custom treatment mask, antioxidant booster serum, and hydrating moisturizer. This skin softening exfoliation treatment is gentle enough for all skin types, and will leave you with a fresh, rosy glow. Dermaplaning exfoliates the surface of the skin, while a custom chosen enzyme treatment dissolves away the 'glue' that bonds your dead skin cells to your living skin cells. This duo will leave your skin ultra smooth, soft, and with a fresh, rosy glow. Includes cleansing, dermaplaning, custom selected fruit based enzyme treatment, extractions (if needed), face, neck, shoulder, hand & arm massage, custom treatment mask, antioxidant booster serum, and hydrating moisturizer. Our Fruitzyme Renewal Facial dissolves away your dead skin cells, leaving you with softened skin and a fresh, rosy glow. Includes cleansing, custom selected fruit based enzyme treatment, extractions (if needed), face, neck, shoulder, hand & arm massage, custom treatment mask, antioxidant booster serum, and hydrating moisturizer. Finally, we add a Celluma LED Treatment to reduce inflammation & redness, increase collagen production to improve firmness, and kill bacteria. This treatment is specifically focused on addressing the common skin concerns that many men have, such as congestion in the t-zone, shaving irritation, and unbalanced skin. Includes deep cleansing, skin analysis, skin brightening exfoliation with steam, extractions, a custom blended treatment mask, and moisturizer. Also included is a face, neck, shoulder, hand & arm massage to ensure that you drift into a deep state of relaxation. Add a waxing trio of brows, nostrils, & ears to our Gentlemen's Facial for the ultimate clean up. This facial addresses common skin concerns for men such as unbalanced skin, irritation, and blackheads. Includes deep cleansing, skin analysis, skin brightening exfoliation with steam, extractions, a custom blended treatment mask, and moisturizer. Also included is a face, neck, shoulder, hand & arm massage to ensure that you drift into a deep state of relaxation. A back facial designed to clear up breakouts on the back, and prevent future breakouts. It will reveal clearer, more beautiful skin, and is perfect to do pre-vacation and pre-summer, so you can bare your back with confidence. This treatment includes cleansing, manual exfoliation with a brightening scrub, secondary exfoliation with a blended solution of salicylic acid & glycolic acid, extractions, a detoxifying clay mask, and a skin balancing moisturizer. This treatment will gently and effectively target break outs and clogged pores while it quenches the skin with super antioxidants.